The People versus the Interests, the general welfare versus factional privilegesout of that conflict comes much of the sound and fury of American politics, or of any politics organized as representative democracy. The problem arises because what is in the interest of some people may not be in, or may even be adverse to, the interest of others; yet in many cases, government can establish only a single condition, which all parties must live with, for better or worse. Because the United States began as a confederation of sovereign states, its Constitution of 1787 gave special status to the representation of sectional interests, distinguishing citizens according to the state government that had jurisdiction over them. The Constitution took no explicit account of the interests associated with various functional economic groupsfarmers, sailors, merchants, and so forth. Our system of federalist checks and balances was supposed to solve the problems of rivalrous functional interests by recognizing the police powers of the separate state governments and, within the national government, by establishing three separate but interdependent branches. This plan was intended to frustrate any schemes promoted by economic factions, at least at the national level. For a century and a half the system worked more or less as intended, but it was never completely successful. Although the Constitution made no provision for formal economic representation, the politicians and organized private groups proceeded to establish de facto what the framers of the Constitution had hoped to prevent. In the late nineteenth century, as the national economy became more tightly integrated, national economic interest groupsmanufacturers, railroad companies, investment bankers, farm organizations, and labor unionsreallocated their lobbying efforts from the states to the national government. By the early twentieth century, the influence of these broad economic factions on policy-making could be clearly discerned. 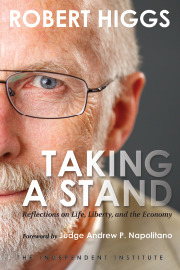 Certain Progressive intellectuals, most notably Herbert Croly, argued that effective government required a reorganized structure that would recognize and deal directly with powerful private actors in the modern, highly organized economy. Proposals proliferated for some kind of formal cooperation or partnership of business, labor, and government. In Western Europe, where similar economic development has occurred, the political response has often taken the form of various corporatist arrangements. These providesometimes by constitutional authority, sometimes by law, sometimes by informal dealsfor the extraparliamentary representation of functional economic interests in policy-making. Corporatism faces the problem of factions directly. In effect, it resolves the problem of the People versus the Interests by forthrightly declaring that the Interests, when properly organized and channeled, are the People. Americans have never been willing to make such a declarationto do so would too blatantly belie the nations political mythologybut without ever facing up to what has actually been done, they have come closer to the European practice than they care to admit. If the Europeans have developed first corporatism and then neocorporatism, the Americans have developed quasi-corporatism. By examining just how corporatist our political economy has been, we may gain new insights into the development and present condition of our politico-economic institutions. Full-fledged corporatism, as a system for organizing the formulation and implementation of economic policies, requires the replacement of political representation according to area of residence by political representation according to position in the socioeconomic division of labor. The citizen of a corporate state has a political identity, not as a resident of a particular geographical district, but as a member of a certain occupation, profession, or other economic community. He will probably be distinguished according to whether he is an employer, an employee, or self-employed. One who looks for information about corporatism is frequently referred to fascism.2 Indeed, the corporatist ideal achieved its fullest historical expression in Italy under Mussolinis regime. There, workers and employers were organized into syndicates based on local trades and occupations. Local syndicates joined in national federations, which were grouped into worker and employer confederations for broad economic sectors such as industry, agriculture, commerce, banking, and insurance. In 1934 the government made peak associations part of the apparatus of state, with one corporation for each of twenty-two economic sectors. The corporations received authority to regulate economic activities, to fix the prices of goods and services, and to mediate labor disputes. In practice, the Italian corporate state operated not as a grand compromise among economic interest groups but as a collection of sectoral economic authorities organized and dominated by the government in the service of the dictatorships aims. Neither capitalists nor laborers enjoyed autonomy or private rights defensible against the fascist regime.3 Other fascist regimes in Europe and Latin America operated similarly. In light of this experience, one might judge fascist corporatism to be something of a fraud. The appearance of rationalized popular participation in government failed to mask the dictatorial character of the system. Not surprisingly, after World War II, fascism became a dirty word and full-fledged corporatism a discredited program. Nevertheless, arrangements bearing some similarity to fascisms corporate state developed in the democratic countries of Europe, most notably in Scandinavia, Austria, and the Netherlands but also, to some extent, in other countries. No one describes these arrangements as fascist; most commonly they are called neocorporatist. The United States would seem to offer a relatively inhospitable environment for corporatism, as the countrys constitutional structure was deliberately constructed to impede political collusion among economic interest groups. James Madison, the leading framer of the Constitution, worried about the pernicious effects of factions, which he defined as groups of citizens whether amounting to a majority or minority of the whole, who are united and actuated by some common impulse of passion, or of interest, adverse to the rights of other citizens, or to the permanent and aggregate interests of the community. Madisons faction corresponds to what we now call a special-interest group. Factions could not be kept from forming; they would inevitably arise among creditors, debtors, landlords, manufacturers, merchants, rentiers, and many other functional groups. Nevertheless, in his Federalist No. 10, Madison emphatically denied a central premise of corporatist doctrine: It is vain to say that enlightened statesmen will be able to adjust these clashing interests, and render them all subservient to the public good. But wise men would structure the government so that any faction would encounter sturdy barriers to the achievement of its aims. Two crucial features of the American government help to achieve Madisons objective. First, the government structure is federal, with powers divided between the national government and state governments. The powers of the national government, though substantial, are (or at least were in the beginning) limited and enumerated. Originally, thirteen states constituted the Union; now there are fifty. Madison observed that the influence of factious leaders may kindle a flame within their particular States, but will be unable to spread a general conflagration through the other States. Second, within the national government, powers are separated among the executive, legislative, and judicial branches. Ordinarily, no single branch can do much without the cooperation of the others. To ensure its political success, an ambitious interest group must gain the support of all three branches, often a difficult undertaking. In the nineteenth century, the American economy grew vast and complex; it spread across an entire continent. Hence, the success of factionalism on the national level became even less likely. Moreover, the dominance of liberal ideology reinforced the resistance to special-interest projects already inherent in the structure of the constitutional arrangements. Of course, the system was not perfect. Some special interests gained political favor in spite of the obstacles. Moreover, some countervailing developments occurred. The Civil War and the resulting constitutional amendments, especially the Fourteenth Amendment, tended to nationalize policy-making, shifting authority from the states to the national government. 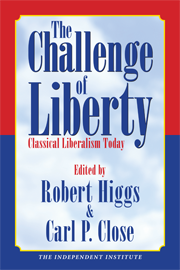 After 1900 the ideology of classical liberalism began to lose its hold on opinion leaders and governing elites; during the 1930s, it lost much of its appeal to the middle and working classes, as well. After 1937 the Supreme Court interpreted the national governments economic regulatory powers as virtually unlimited, thereby undercutting much of the effect of federalism in relation to economic policy. Although I do not disagree completely with this conclusion, I believe that those who have reached it may have overlooked both episodic historical experiences and current practices in certain sectors of the U.S. economy that bear enough similarity to corporatism to be recognized and considered. I shall refer to these features of U.S. policy-making as quasi-corporatist and explain what it is about them that warrants such characterization. First, however, I must consider briefly the logic of interest-group relations with the government. Like Madison, I assume the pervasiveness of latent tendencies for economic interest groups to form and use governmental power in the service of their own ends at the expense of the general public interest. But latent tendencies are not enough to prompt the organization of such groups and the effective cooperation of their members. As Mancur Olson has argued in detail,8 latent interest groups must overcome inherent obstacles before they can function successfully enough to gain cartel privileges. The basic problem confronting a latent interest group is that the privilege it seeks for its members is a collective good (also known in economic theory as a public good), that is, a condition that applies to all members of the group if it applies to any member of the group. In general, at least some individual members of an interest groupespecially if the group has many membershave an incentive to cheat on the agreement whereby the group secures a collective benefit. With sufficient cheating, the arrangement that makes possible the maintenance of the collective benefit collapses. 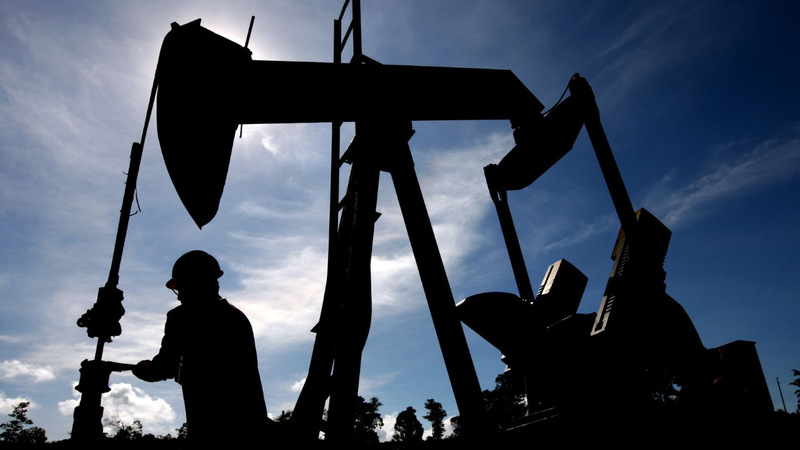 Witness the recent history of OPEC, a classic example. This dilemma, which economists call the free-rider problem, might be overcome in various ways. Olson has emphasized two selective incentives. 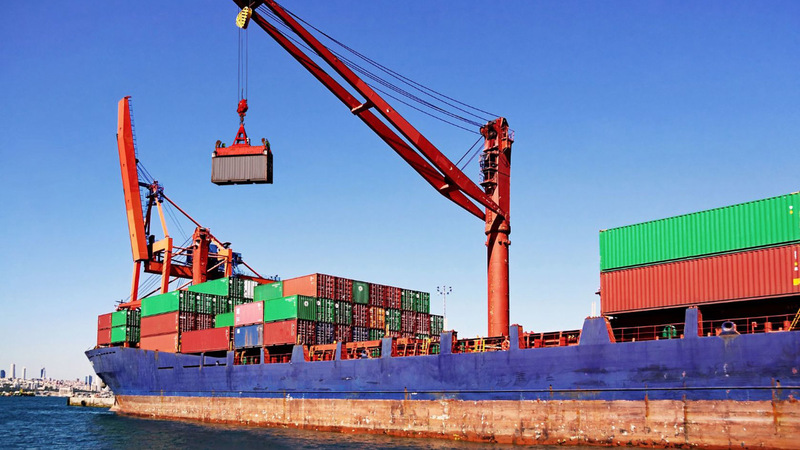 One is the tying of cooperation to the receipt of privately appropriable goods for the group members. For example, farmers organized to restrict output might form an association offering cheap insurance to members alone. The availability of the cheap insurance might be sufficient incentive for a farmer to join the association, but the association would then use a portion of the dues received from members to lobby the government for establishment of a price-support program. A second selective incentive is coercion, possibly private but usually by the government, through legal means. Thus, the collective good of national defense is financed neither by voluntary contributions nor subscriptions but by tax revenues paid by citizens on pain of fine or imprisonment. Also, in some circumstances, collective goods may be pursued effectively by groups kept together by informal social sanctions, but this arrangement is less likely to work as the group size increases and the personal interactions of its members become more sporadic and fleeting. 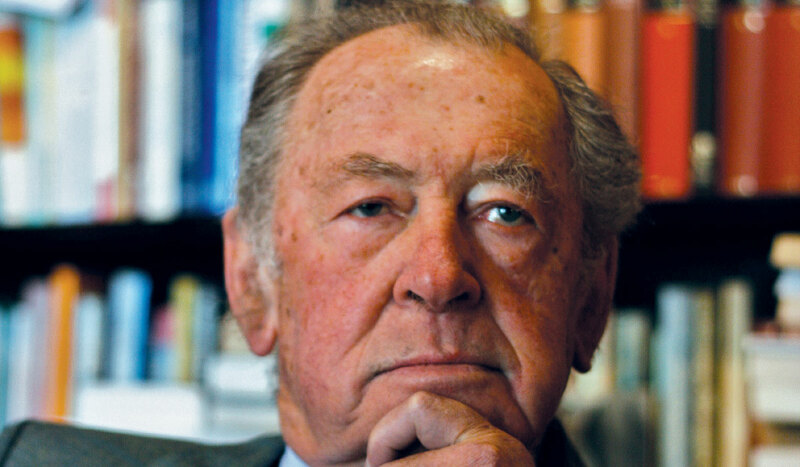 Schmitter has emphasized that for groups to operate successfully within a neocorporatist scheme, they must get organized, and that requires overcoming the free-riding limitations imposed by voluntary membership and the free-booting temptations inherent in individualistic or particularistic access to political power.9 Toward this end, they may seek to make member contributions and compliance mandatory. Schmitter surmises that the groups may eventually come to learn that it is in their interest to have their preferences and behaviours governed by intermediary organisations and subjected to state interests. In any event, the success of a groups project turns critically on compliance with the necessary restrictions on individual members behavior. If a group fails to enlist the aid of the government in enforcing these restrictions and if incentives for self-enforcement are lacking, then the scheme will fall victim to free-riding actions by group members. 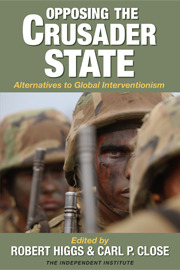 While I agree with the analyses of Olson, Schmitter, and others regarding the importance of selective incentiveswhether privately appropriable benefits, governmental coercion, or informal social incentivesin making successful collective action possible, I have found in my own research in American history another important variable, ideology, especially in its patriotic or nationalistic aspect. On occasion, or in certain sectors for prolonged periods, cooperation with schemes designed to produce collective goods has been elicited by a combination of external conditions and governmental measures. We are dealing here with what might be called the political economy of national emergency. In a national emergencygreat wars, severe business contractions or rapid inflations, or threatening labor disturbancesthe American public in the twentieth century has both expected and demanded that the national government do something to allay the perceived threat to national survival or economic viability. 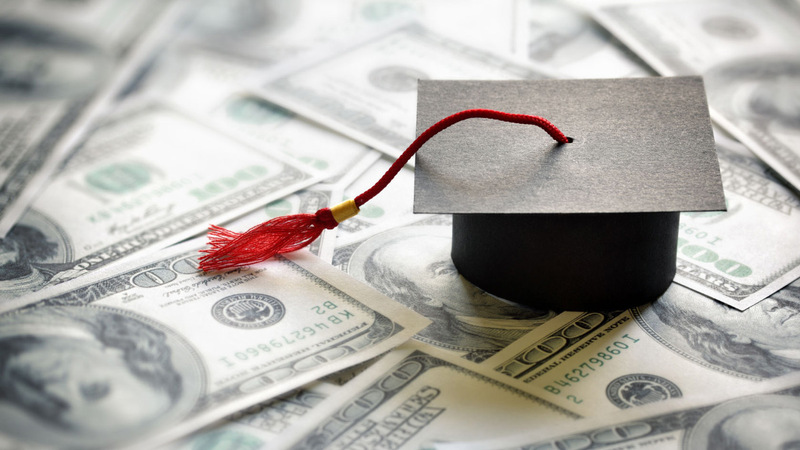 Governments have responded with policies that entailed widespread costs and heavy burdens, including new demands for citizen compliance with requirements or restrictions. Although such measures have always met some resistance, they have succeeded to the extent that they have gained (1) voluntary compliance by the citizens and (2) toleration by the citizens of enlarged governmental powers if employed to gain compliance with government measures, even in the face of overt or covert resistance. When the ideological and political barriers to extended governmental action are lowered because of prevailing emergency conditions, interest groups find they can achieve their own ends more readily. First, they can clothe their projects in the rhetoric of public interest, claiming that their own schemes are important in dealing with the emergency. Second, they can more readily secure the delegated or captured powers of the government, which is now more active across the board, to solidify their own projects by suppressing free-riding behavior among their members. The government is usually willing to share its authority with private interest groups because it needs their expertise and cooperation, or at least their acquiescence, to ensure the success of its own far-reaching emergency program. At the macro level, where societal measures such as comprehensive wage-price controls or central allocations of raw materials are concerned, the success of quasi-corporatist schemes should wane with the passing of the emergency. Of course, to the extent that solid institutions, perhaps even a legal apparatus, have been constructed during the emergency, the scheme may persist after the crisis has passed. Insofar as legal sanction is concerned, such arrangements are easier to build during emergencies than they are to tear down afterward. At the micro level, in particular sectors, neocorporatist arrangements may survive longer, perhaps indefinitely. Recently, Milward and Francisco have argued that American policy is forged in a series of policy subsystems, and . . . most of these subsystems conform to the major features of corporatism. The conclusion is controversial and subject to a good deal of quarreling based on what exactly is meant by corporatism.10 Should it be possible, however, to identify a sector where the national emergency never ends, one would expect to find quasi-corporatist arrangements solidly entrenched. I shall argue that such conditions exist in the defense sector of the U.S. political economy. Before considering that case, however, it is instructive to survey the episodic experience of quasi-corporatist policy-making in U.S. history. Quasi-corporatist policy-making first appeared in the American labor market in 1916, when the operating brotherhoods of the interstate railroad industry, the four unions whose members manned the nations trains, threatened to strike. The American economy was extremely dependent on the railroads at that time, and a nationwide strike would have imposed devastating costs on the public. The unionists and the national bargaining association of the railroad companies could not agree. The very fact that a single bargaining meeting could be convened to deal with wages and working conditions for the entire railroad industry indicated something new in the United States, something suggestive of corporatism. When the representatives of the employees and the employers reached an impasse, President Woodrow Wilson intervened. He called the bargaining parties to Washington and attempted to persuade them to compromise. When the employers continued to resist, Wilson turned to Congress, securing passage of the Adamson Act of 1916, which mandated a 25 percent wage increase. The employers challenged the act as unconstitutional, and the unions continued to threaten a strike. Finally, on March 19, 1917, the day before the Supreme Court upheld the constitutionality of the Adamson Act, the employers agreed to abide by its terms. The railroad labor troubles did not end. After the United States declared war in 1917, when the nation needed the services of its railroad system more than ever, the unions renewed their threat to strike. Because of governmental restrictions on company actions and rates, the employers had little leeway to accommodate the union demands. Finally, at the end of 1917, the government solved the problem by nationalizing the railroads as a war measure. Wages were then raised substantially. The railroad executives continued to manage the properties, subject to the overriding authority of the U.S. Railroad Administration. In 1920 the government returned the companies to their owners, but only after passage of legislation that placed unprecedented restrictions on the owners property rights. During the war, the Wilson administration strongly backed the organization of unions and collective bargaining. More than sympathy for organized labor prompted this support: the government could not risk widespread work stoppages when every effort was needed to convert the economy from civilian to war production in order to supply both the American forces and the Allies. To gain the cooperation of organized labor, the administration placed unionists on many of its wartime control boards, including the Advisory Commission of the Council of National Defense (which included Samuel Gompers, the venerable head of the American Federation of Labor); the Selective Service System, which managed military conscription; the Food Administration; the Railroad Administration; and the War Industries Board. The governments involvement in the wartime labor market eventually lead to creation of a War Labor Administration headed by the secretary of labor. The secretary appointed a National War Labor Board, to provide mediation and conciliation in labor disputes, and a War Labor Policies Board, to serve as a clearinghouse for all government policies bearing on labor. In addition, WIB had a price-fixing committee, directly responsible to the president, which set prices for scores of commodities of special interest to the government. Again, businesses seem generally to have prospered when friendly managers, temporarily invested with the governments wartime powers, could fix their prices and police their markets. Pricing formulas designed to elicit marginal supplies resulted in substantial profits for the established, low-cost producers. Although most of the wartime agencies were closed after the armistice, lessons about the cooperation of government, business, and labor did not go unlearned. Herbert Hoover, who had headed the Food Administration during the war, served from 1921 to 1928 as secretary of commerce. In this capacity, he undertook to organize the American economy on a cooperative basis as no one had ever done before. He sponsored programs to accumulate and disseminate economic information. He worked tirelessly to assist the organization and activities of trade associations. He promoted the standardization of materials, sizes, and designsa project popular during the war with planners who viewed it as a conservation measure. Hoover believed that laissez-faire was obsolete, or at least ought to be made so. He believed that government should be actively involved in business affairs, not in a dictatorial way but as a mediator, prompter, and helper. Although historians have often characterized the 1920s as a reactionary period in American history, it was in important respects a bridge between the wartime collectivist measures of 1916-1918 and the New Deal programs of 1933-38. But people often regarded the requests of governmental officials, especially at meetings called by the president, as verging on directives. At least, many considered it unpatriotic not to follow the presidents suggestions. Whatever the reason, few large businesses cut real wage rates until well into 1931. By that time the economy was spiraling rapidly downward, and the financial system had sustained irremediable damage. Ironically, allegiance to Hoovers program of real-wage maintenance now appears to have been a prime cause of the severity of the employment contraction early in the Great Depression, coming as it did at a critical time when appropriate wage reductions could have restored equilibrium in the labor markets before mass unemployment and all its negative consequences had developed. By the time Franklin D. Roosevelt assumed the presidency in March 1933, the Depression had reached almost unbearable depths. There existed, as Justice Brandeis put it, an emergency more serious than war. Real GNP per capita was down more than 30 percent; net investment and corporate profits were negative; the financial system was a shambles; unemployment had reached 25 percent; and a substantial number of those still employed were working part time or living in fear of imminent layoff. In response to these dire conditions, governmental and private leaders joined to create the most far-reaching quasi-corporatist experiment in Americas peacetime history. While agriculture, transportation, finance, and other sectors were placed under quasi-corporatist controls, the centerpiece of the experiment was the National Industrial Recovery Act (NIRA) of 1933, which created the National Recovery Administration (NRA) and gave the president authority to create the Public Works Administration. This legislation emerged from a grand compromise of the sort celebrated by corporatists. The most prominent parties to its creation included businessmen seeking higher prices and barriers to competition; labor unionists seeking governmental sponsorship and protection of their organizational activities and collective bargaining; do-gooders concerned about working conditions and child labor; and proponents of massive governmental spending for public works. Their model was the War Industries Board of 1918. Roosevelt placed Gen. Hugh Johnson in charge of the NRA. Businessmen descended on it as they had on the WIB in 1918. It offered them the prospect of governmental power to control free riding and thereby to solidify cartel arrangements in their industries. The NIRA set aside the antitrust laws. It authorized the president to approve a code of fair competition for each industry or, lacking an acceptable privately tendered code, to impose one of his own making. Every code had to provide for minimum wages, maximum hours, and working conditions satisfactory to the government; each had to guarantee rights of collective bargaining to employees. The bureaucrats of the NRA worked hard to organize the economy. Eventually, they approved 557 basic and 189 supplementary codes, covering about 95 percent of all industrial employees. General Johnson made Herculean efforts, verging on the sort of propaganda and intimidation common in the European dictatorships at the time, to stir up enthusiasm for the program and stimulate compliance with its terms. The experiment did leave some quasi-corporatist residues, including a price-fixing scheme in the coal industry and a complicated multigovernmental arrangement for maintaining a national petroleum cartel. Even more important were the labor laws passed to salvage and extend the provisions first enacted by the NIRA. In 1935 Congress passed the Wagner Act, creating the National Labor Relations Board and establishing a basic structure for compulsory collective bargaining that has persisted, with only minor amendment, to the present. In 1938 the Fair Labor Standards Act restored the provisions of the NIRA relating to minimum wages, maximum hours, and working conditions. In addition, the basic corporatist arrangements for controlling agricultural production, prices, and marketing, first adopted in 1933, have also survived to the present, though periodic changes in their details have been made. Surveying the quasi-corporatist legacies of the New Deal, John Commons observed that economic pressure groups had become an occupational parliament of the American people more truly representative than the Congress elected by territorial divisions. They are the informal American counterpart of Mussolinis corporate state, the Italian occupational state.15 The observation was largely wishful thinking but contained a grain of truth. With the coming of World War II, the Roosevelt administration recovered its zeal for quasi-corporatism, which had waned in the late 1930s. During the defense period 1940-41, before the United States entered the war as a declared belligerent, public opinion did not support participation in the war unless the country were attacked. The government had to move cautiously in its rearmament program. Conditions were ripe for tripartism: The government lacked the political support to simply order compliance with its program, yet it needed the cooperation of industry and organized labor. The expertise and property of businessmen were essential for rearmament, and work stoppages might jeopardize the whole program. The administration, always friendly to organized labor, continued its strong support of union organization and collective bargaining, support that would persist through the war period. And beginning in 1940, Roosevelt began to woo big business. The reconciliation between the Roosevelt administration and big business in no way cooled the governments ardor for organized labor. Only ten days after the Japanese attack on Pearl Harbor provoked the United States to declare war, Roosevelt convened a meeting of a dozen employers and a dozen unionists in Washington. They promised, as if they were speaking for all employers and all employees, that they would not resort to lockouts or strikes during the war and would submit to governmental intervention in unresolved disputes. In January 1942, the president created a National War Labor Board to resolve disputes by mediation or arbitration. In dealing with union efforts to organize nonunion work forces, the government adopted a formula that made it easy for unions to become and remain the authorized collective bargaining agents even at workplaces where relatively few employees supported the representation. Under this regime the unions flourished: during four years of war, union membership increased by more than four million people, or by about 40 percent. Work stoppages did not entirely cease, and the railroad and coal industries continued to thwart the governments efforts to maintain harmony in the labor market. In general, however, the governments attempt to accommodate organized labor proved compatible with the overall wartime production programnot to speak of its designs for reelection. Contracts ceased to bind; fixed prices became adjustable; contractual modifications averted potential losses. The important thing was to keep the production lines running. Only the taxpayers stood to lose, and they, as always, had no organized representation in the government. Besides, their patriotism had been aroused, and they were officially exhorted to regard high taxes and forced savings as the necessary price of victory. Rates of return on investment proved extraordinarily high for typical war contractors, particularly in view of the limited risk they bore.18 Out of this experience emerged the basic structure of the military-industrial complex, within which the vast armaments production of the postwar period has been organized. During the Korean War, the government revived many of the economic controls employed during World War II. Among the agencies created was the Economic Stabilization Agency, which in January 1951 issued regulations to control wages and prices. Of course, the government sought the cooperation of organized business and labor in the implementation of its wage-price controls. Being more favorably inclined toward labor than business, the Truman administration got itself into trouble in applying its incomes policy to the steel industry. The administration tried to circumvent the lack of business cooperation by nationalizing the steel industry. But in June 1952, the Supreme Court declared that the methods under which the government proposed to take over the industry were unconstitutional, and the government sustained a major political defeat. Fortunately, the war ended in mid-1953, and the wage-price controls lapsed. Quasi-corporatism at the macro level next reared its head when the Nixon administration imposed mandatory wage-price controls during 1971-74. The program passed through a series of phases, the first being a ninety-day price freeze beginning August 15, 1971. The administration appreciated that a freeze could not be sustained for long without wrecking the price system, so the following phase allowed more discretion and variability in the application of the controls. To make this phase work, the government needed to develop a broad acceptance of the rules and a willingness to live by them.19 Wage decisions were made by a tripartite Pay Board, on which [o]fficial references were made to labor and business representation as though these were organized and duly constituted functional communities.20 Other prices came under the jurisdiction of a price commission composed entirely of public members, mainly people with business experience. Notwithstanding the evident failure of the Nixon program, the Carter administration resorted to an even weaker versionunlike the earlier income policies, it had no legislative sanctionwhen inflation began to accelerate in the late 1970s. In October 1978, Carter announced his wage-price guidelines, which firms and unions were invited to follow. An executive agency, the Council on Wage and Price Stability (COWPS, pronounced cops), took responsibility for haranguing the private sector and monitoring its compliance with the guidelines. As usual, many large firms chose to regard the governments recommendations as directives. Their view is understandable, for the government made clear that it would employ various indirect sanctions, including withholding of federal contracts, more enthusiastic exertion of regulatory powers, and publication of an enemies list, to punish noncompliers. To repair these bruised relations, in the summer of 1979 the administration sought greater participation in the program by the unions. In response, union leaders proposed creation of a tripartite board to set, modify, and hear appeals from the wage guidelines on an ad hoc basis. The administration liked the idea. Not only would it placate the AFL-CIO, but it would shift the blame for unpopular decisionsindeed for inflation itselfonto the board. Because the board would represent business, labor, and the public, its decisions might appear more equitable and hence receive more compliance. The culmination of the administrations negotiations with organized labor came on September 28, 1979, when the president announced that the government and the AFL-CIO had entered into a national accord. This supposedly historic document turned out to be a hodgepodge of highfalutin declarations and vague, mutually incompatible policy proposals. It said nothing specific about the guidelines program except to endorse its continuation with greater public participation. Its only real accomplishment was expressed in its final paragraph, which declared that the essence of this National Accord is involvement and cooperation. . . . It is our purpose to establish procedures for continuing consultations between American labor leadership and the Administration. The Teamsters and the United Auto Workers, large unions that did not belong to the AFL-CIO, also endorsed the accord. With the accesssion of Reagan, one might have thought that all quasi-corporatist schemes were doomed. But such a supposition would have been mistaken. In one sector, the defense economy, quasi-corporatist arrangements had been entrenched for decades. During Reagans unprecedented peacetime military buildup, they would flourish. Except during the few years of demobilization in the late 1940s, the United States has maintained a huge military establishment supplied by a correspondingly vast economic sector for the past half century. During the years 1948-1986, on average, 7.6 percent of the GNP went into purchases of military goods and services. Although personnel costs account for much of the spending, a substantial portion of the defense budget goes toward the research, development, testing, production, deployment, maintenance, and modification of weapons systems. The management and performance of these tasks take place within an unofficial military-industrial-congressional complex (MICC). Universities and research laboratories, think tanks, consultants, labor unions, local government officials, trade associations, and advisory groups also play important roles in the MICC. Despite the multitude of laws supposedly controlling every step taken within the MICC, in practice this conglomeration of overlapping private and governmental interest groups and military bureaus obscures or obliterates the dividing line between the public and the private. Sen. William Roth has complained that one cannot do business in some Army procurements unless one is part of the old boy network,25 and Sen. William Proxmire has pointed to an active, ever-working, fast-moving, revolving door between the Pentagon and its big suppliers.26 Many of the thousands of high-ranking military officers who retire annually find immediate executive employment in the defense industry, while industry officials routinely occupy high-ranking positions in the Pentagon bureaucracy.27 Nor is the interchange of personnel confined to the Pentagon and the contractors: Academics, consultants, and congressional staffers also play the game. In these circumstances, one easily forgets who is working for whom and where private interest ends and public responsibility begins. Gen. James P. Mullins, former commander of the Air Force Logistics Command, has recently remarked that the defense business is not business as usual among independent parties. This is a family affair among terribly interdependent parties (emphasis in original). He also affirms that the contractors, far from awaiting governmental demands, actively generate and shape those demands. While the contractors perform much of the research and development to bring forth the weapon systems, their labor is attended by numerous midwives. 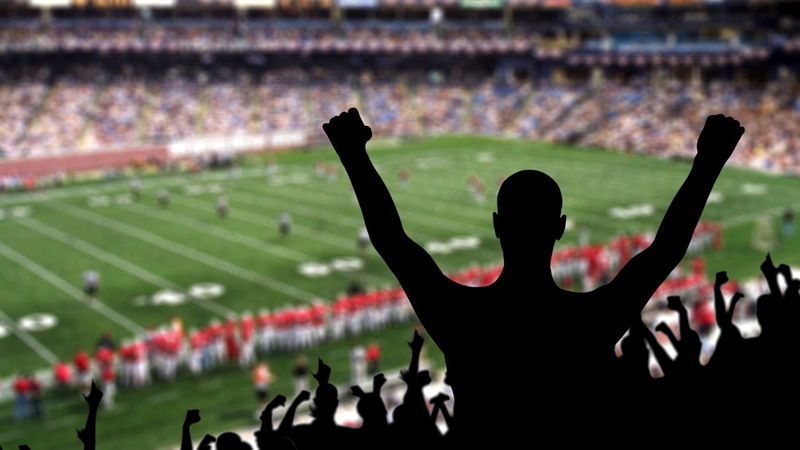 Defense trade associations such as the Aerospace Industries Association, the American Defense Preparedness Association, and the National Security Industrial Association help to link the industry and the government. Because these associations speak for no particular company, their views appear more neutral, but sometimes an association in coordination with [governmental] agency officials can become a de facto policy-maker.30 The associations sponsor conventions widely attended by both military and private parties, featuring panels, classified briefings, and distribution of information on future weapons programs and policy developments. Association officials regularly testify before congressional committees and meet with executive branch officials, urging increases in defense spending and particular R&D programs. Even more significant are the many defense advisory boards, composed of private parties, scattered throughout the defense bureaucracy. An important example is the Defense Science Board, another groups described as an old boy network. Coates and Kilian report that this boards members frequently moved in and out of the Pentagon and to and from big jobs with contractorsmany of whose weapons they evaluated as board members.31 The advisory boards ensure a biased appraisal of defense matters and exert a powerful influence in setting the defense policy agenda. [T]hey tend to reinforce a closed, interacting network of policy-makers, all of whom have expertise in the area, but who share a similar interest in the preservation of the industry-Government relationship.32 Their operation exemplifies a clear quasi-corporatist arrangement. The defense budget just proposed by the Reagan administration for fiscal year 1989 includes some $30 billion for secret weapons programs unlisted in the official budget documents.34 Secrecy, in combination with the overarching sense of national emergency inherent in the Cold War, helps to sustain the grip of the interfused interests that constitute the MICC and to determine the nations defense policies and weapons programs practically without challenge, or even effective questioning, from others. Political scientists have concluded correctly that the United States is not a corporate statecertainly not a corporate state comparable to modern Sweden or Austria nor one that meets the demanding criteria of Schmitters definition. American interest groups have been too numerous, too quarrelsome, and too partial in their membership. Normally the governmental power they hope to seize has itself been fragmented, divided at each level among executive, legislative, and judicial branches and dispersed among the national, state and local levels in a federal constitutional system. Residual allegiance to liberal ideology and its political norms and practices, including limited government and territorial representation in the legislature, has also impeded the development of corporatism. The American economy is vast and complex. To bring it within the effective control of a few hierarchical, noncompetitive peak associations, as the fascists tried (or pretended) to do in interwar Italy, is almost unthinkable. The closest peacetime experiment, the NRA of 1933-35, did not work and was collapsing of its own weight when the Supreme Court put an end to it. Under crisis conditions, all the forces normally obstructing the development of U.S. corporatism, whether at the micro or the macro level, diminish. In the national emergencies associated with war, economic depression or accelerating inflation, or large-scale labor disturbances, the national government in the twentieth century has responded by adopting policies that consolidate power at the top level and extend the scope of its authority. With power more concentrated and more actively employed, the incentive is greater for latent private-interest groups to organize, increase their membership, suppress their internal disputes, and demand a voice in policy-making. 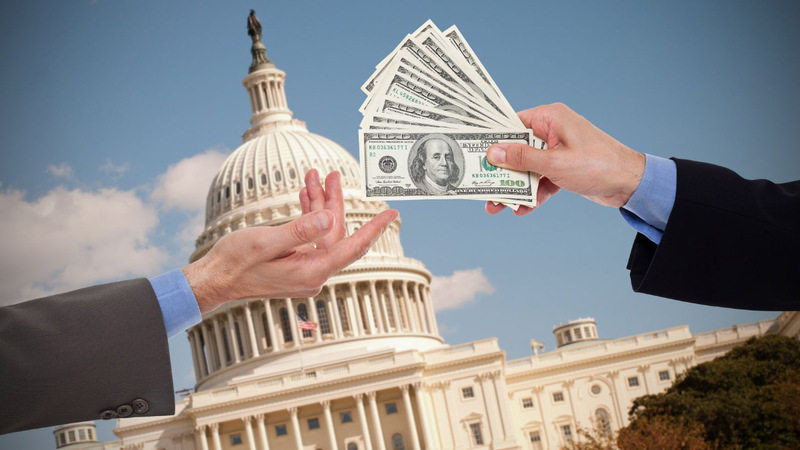 National emergencies create conditions in which governmental officials and private-interest groups have more to gain by striking political bargains with one another. Government gains the resources, expertise, and cooperation of the private parties, which are usually essential for the success of governmental crisis policies. Private-interest groups gain the application of governmental authority to enforce compliance with their cartel rules, which is essential to preclude the free riding that normally jeopardizes the success of every arrangement for the provision of collective goods. Crisis promotes extended politicization of economic life, and extended politicization encourages additional political organization and bargaining. American history has seen quasi-corporatism rise and fall during national emergencies. But each episode has left legacies, accretions of corporatism embedded in the part-elitist, part-pluralist structure of American government. By now these accretions, taking the form of disaggregated neocorporatist arrangements scattered throughout the economy, add up to a significant part of the political economy. Overshadowing these developments and far more significant is the quasi-corporatism of the military economy. Consuming resources at an enormous rateU.S. defense spending is roughly equivalent to the combined GNPs of Sweden and Switzerlandthe national-security sector manifests most clearly the association between national emergency, in this case the enduring emergency of the Cold War, and quasi-corporatist arrangements. In defense spending the lines separating the public sector and the private sector have been almost completely obliterated; and even where they seem to remain, as in the private ownership of the contracting firms, the appearance has little substance. Governmental involvement infuses every aspect of the operation of these firms. But working from the other direction, the firms have employed a variety of devices, from advisory committees to extensive rotation of personnel, to penetrate the decision-making agencies of the Pentagon. No one has a stronger voice in setting the defense production agendasometimes the strategic commitments as welland in directing the R&D that presages future weapons and battlefield scenarios. Other members of the MICC crowd in for their shares of the money and the power. Persons and groups outside this tight circle have little hope of exerting influence on the defense sector. Secrecy and old-boy networks deprive outsiders of information, and their lack of expertise, credentials, and security clearances ensures that those who would rock the boat will never be allowed on board. In sum, in the American experience, most quasi-corporatist policy-making has arisen from national emergencies. Should the future bring new crises, as it almost certainly will, we may confidently expect to witness the flowering of still more quasi-corporatism. 1. New York Times, 28 Feb. 1988. 3. See Mario Einaudi, Fascism, in International Encyclopedia of the Social Sciences (New York, 1968), 334-341. 4. H. Brinton Milward and Ronald A. Francisco, Subsystem Politics and Corporatism in the United States, Policy and Politics 11 (1983): 273-293. 5. Recent surveys of neocorporatism include The Political Economy of Capitalism, Wyn Grant, ed. (New York: St. Martins Press, 1985) and Patterns of Corporatist Policy-Making, Gerhard Lehmbruch and Philippe C. Schmitter, eds. (London: Sage, 1982). See also Eric A. Nordlinger, On the Autonomy of the Democratic State (Cambridge, Mass. : Harvard University Press, 1981), 45-46, 166-174. 6. Graham K. Wilson, Why Is There No Corporatism in the United States, in Lembruch and Schmitter, 224. 7. Graham K. Wilson, Interest Groups in the United States (Oxford: Clarendon Press, 1981), 132-135. See also Wilson in Lembruch and Schmitter, 224. 8. Mancur Olson, The Rise and Decline of Nations: Economic Growth, Stagflation, and Social Rigidities (New Haven: Yale University Press, 1982), 17-74. See also Mancur Olson, The Logic of Collective Action: Public Goods and the Theory of Groups (Cambridge, Mass. : Harvard University Press, 1965). 9. Philippe C. Schmitter, Neo-Corporatism and the State, in Grant, 40. 10. Milward and Francisco, 273. 11. 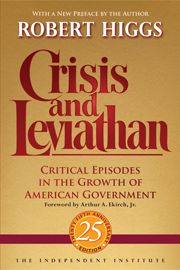 Here and below, unless otherwise indicated, quotations and documentation come from Robert Higgs, Crisis and Leviathan: Critical Episodes in the Growth of American Government (New York: Oxford University Press, 1987). 12. See Robert D. Cuff, The War Industries Board: Business-Government Relations during World War I (Baltimore: Johns Hopkins University Press, 1973). 13. Morgan O. Reynolds, Explaining Wage Rigidity, 1929-31, (Texas A&M University, unpublished). 14. See Ellis W. Hawley, The New Deal and the Problem of Monopoly (Princeton: Princeton University Press, 1966). 15. John R. Common, The Economics of Collective Action, ed. Kenneth H. Parsons (Madison, Wisc. : University of Wisconsin Press, 1970), 33. 16. 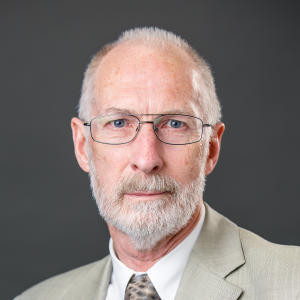 On the prewar defense period, see Robert Higgs, Private Profit, Public Risk: Institutional Antecedents of the Modern Military Procurement System in the Rearmament Program of 1940-1941, in The Sinews of War: Essays on the Economic History of World War II, ed. 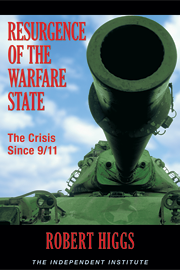 Geofrey T. Mills and Hugh Rockoff (Ames, Iowa: Iowa State University Press, 1993); on the war years, see Higgs, Crisis and Leviathan, and sources cited there. 17. R. Elberton Smith, The Army and Economic Mobilization (Washington D.C.: U.S. Army, 1959), 312. 19. George P. Shultz and Kenneth W. Dam, Economic Policy Beyond the Headlines (New York: Norton, 1977), 69. 20. Theordore J. Lowi, The End of Liberalism: The Second Republic of the United States (New York: Norton, 1979), 122. 21. Shultz and Dam, 75. 22. 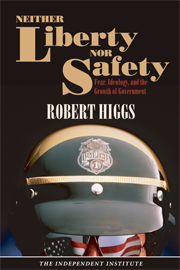 See Robert Higgs, Carters Wage-Price Guidelines: A Review of the First Year, Policy Review (Winter 1980): 97-113. 23. 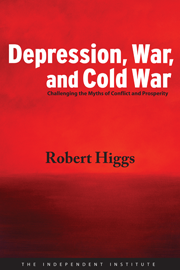 See Robert Higgs, Wage-Price Guidelines: Retreat and Defeat, Freeman 31 (Nov. 1981). 24. Bernard Udis and Murray L. Weidenbaum, The Many Dimensions of the Military Effort, in The Economic Consequences of Reduced Military Spending, ed. Bernard Udis (Lexington, Mass. : Lexington Books, 1973), 33; see Jacques S. Gansler, The Defense Industry (Cambridge, Mass. : MIT Press, 1980). 25. Dina Rasor, The Pentagon Underground (New York: Times Books, 1985), 204. 26. William Proxmire, Report from Wasteland: Americas Military-Industrial Complex (New York: Praeger, 1970), 170. 27. For recent data, see U. S. General Accounting Office DOD Revolving Door: Relations Between Work at DOD and PostDOD Employment, GAO/NSIAD-86-180BR (July 1986). 28. James P. Mullins, The Defense Matrix: National Preparedness and the Military-Industrial Complex (San Diego: Avant Books, 1986), 91, 113. 29. Murray L. Weidenbaum, Business, Government, and the Public, 3d ed. (Englewood Cliffs, N.J.: Prentice-Hall, 1986), 356-358. 30. Gordon Adams, The Politics of Defense Contracting: The Iron Triangle (New Brunswick, N.J.: Transaction Books, 1982), 156. 31. James Coates and Michael Kilian, Heavy Losses: The Dangerous Decline of American Defense (New York: Viking, 1985), 207. 34. Wall Street Journal, 19 Feb. 1988. 35. For surveys and analyses of the U.S. political economy, see such works as Thomas R. Dyes Whos Running America? 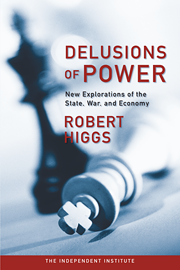 The Conservative Years (Englewood Cliffs, N.J.: Prentice-Hall, 1986); Peter Navarros The Policy Game: How Special Interests Are Stealing America (New York: Wiley, 1984); Higgs, Crisis and Leviathan; Lowi, End of Liberalism; Olson, The Logic of Collective Action; Shultz and Dam, Economic Policy Beyond the Headlines; Weidenbaum, Business, Government, and the Public; and Wilson, Interest Groups in the United States. Reprinted with permission from the November 1988 issue of The World & I. © Copyright 1988, The World & I Magazine.